We shoot at least 100 arrows (usually much more) from each crossbow to get a feel for its performance and to try and spot any obvious mechanical faults or comfort/safety issues. 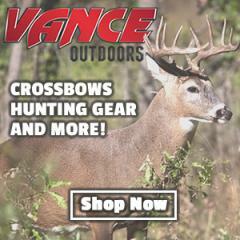 Moreover, we use many of the crossbows we review on a regular basis, and have very close hunter friends who do the same and with whom we regularly compare notes and update our reviews to include newly acquired facts. We always try to take the crossbow being reviewed out on a hunting trip so that we can get a feel for how it performs where it matters. This isn’t always possible, however, in which case the review will make it perfectly clear that we’ve only used this specific crossbow for target shooting only, since there will be no mention of an actual hunt taking place using that particular model. Once we’ve had the chance to take it out hunting, however, we always update the review to reflect that. The process above results in what we believe to be the most comprehensive crossbow review resource on the web, written by actual hunting and archery experts (as opposed to many of the reviews found online and which were written by beginners who often don’t have the necessary experience to judge the quality of a crossbow). We hope you enjoy the results of our work.